A drone might not be a required device to pack for college, but it will certainly be a fun, attention-catching toy for a creative college student. 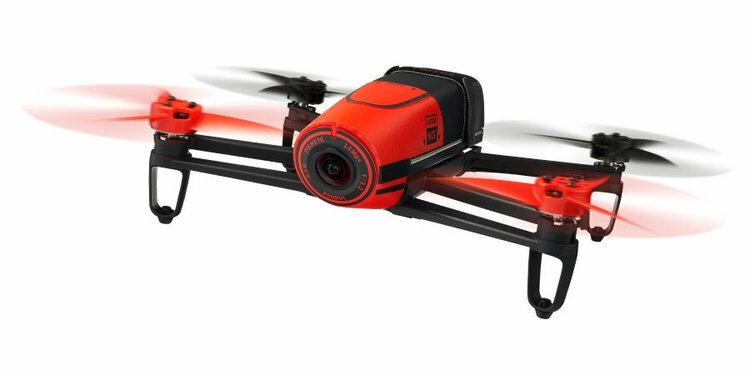 This compact, durable, easy-to-use quadcopter is great for capturing overhead video and photos. The Parrot Bebop is one of the most popular recreational use drones on the market and its small and lightweight enough for out-of-the-box usage. The Bebop’s camera has been improved from previous drone models and has a 180-degree angle of view with a 14-megapixel sensor. The Bebop can be piloted with a smartphone or tablet. With a GNSS chipset with GPS, Glonass and Galileo built in, the Bebop will return to its take-off location on its own and hover in place 2 meters above the ground. It can reach speeds of around 45 mph. You’ll have to recharge the Bebop’s battery often between flights, but it will be fun to capture video footage on beautiful fall days from high above the campus.